Start taking classes at Pure 8 Hot Yoga and other studios! PURE 8 Hot Yoga offers heated and non-heated Power Vinyasa, Hot Hatha, Restorative and Basics style yoga classes, as well as other personalized class options designed by their own teachers. PURE 8 is a clean and modern space that welcomes all body types, levels of practitioner, and intentions of practice. PURE 8 Hot Yoga's teachers are highly experienced and prepared to guide each student deeper into their own yoga journey. Come hydrated, bring a mat, towel, and water bottle - but no worries if you forget, mats and towels are available for rent. Full locker rooms with showers are available for use before and after class. Studio is secured during classes. 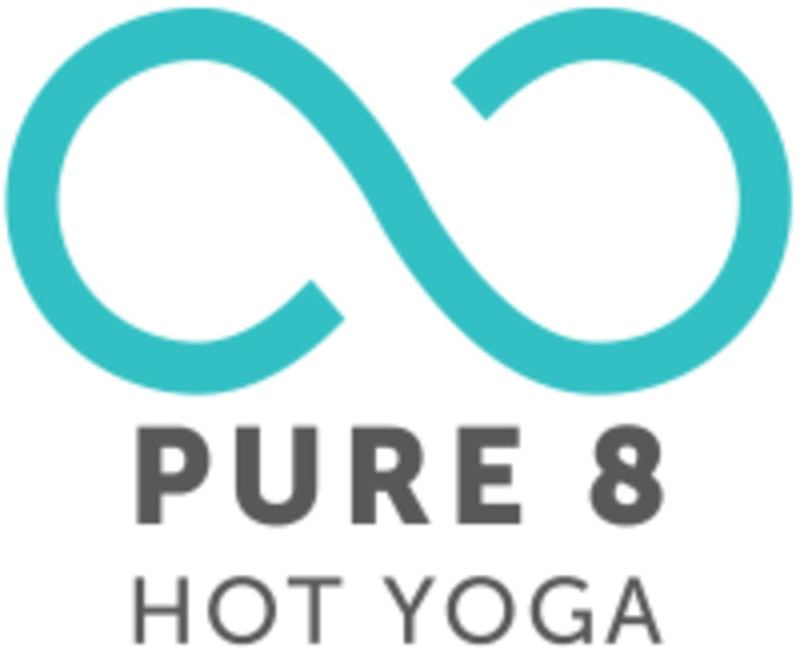 PURE 8 Hot Yoga is located on Canyon Road off Hwy 217 in Beaverton Oregon, in the Canyon Place Shopping Center, right next to Joann's Fabrics with plenty of free parking. Kendall is great. She gives excellent instruction and is very knowledgeable about yoga postures. Michelle was great! I thought she had great deepening cues. I really love this studio... so spacious and beautiful. Amazing! Such a great class, the instructor was awesome, felt like I got a great work out in! Kendall provides a peaceful environment &amp; is attentive to your individual needs. The class wasn’t heated, only heated from the previous class. Yoga is supposed to make you feel centered and focus on your breathing to let go of what is weighing on you. The instructor didn’t personalize the class. It was literally a step by step instruction. Great workout. So challenging, really worked up a sweat!